Nothing gets me into the autumn spirit more than pumpkin foods! The hot summer air is finally starting to creep away, and it’s the perfect time for us to get into the mood for fall with some tasty treats like these AMAZING Cream Cheese Pumpkin Muffins! 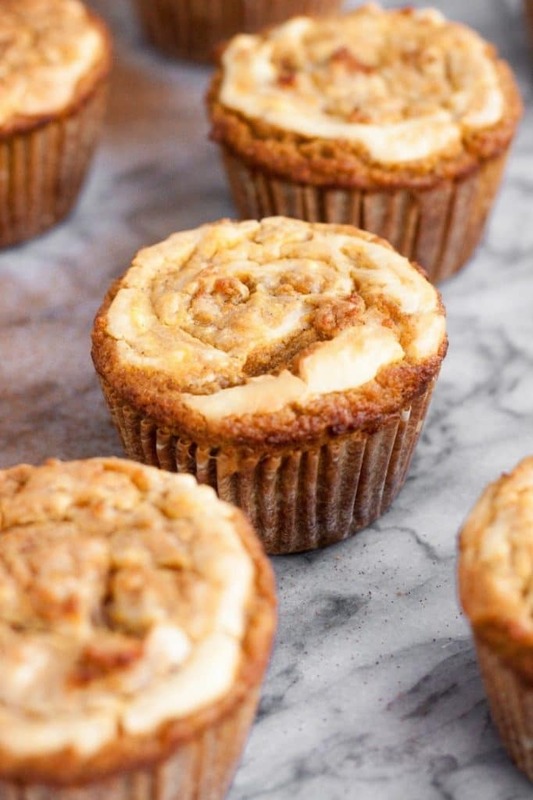 Absolutely mouth watering, these pumpkin muffins with cream cheese swirl will leave your sweet tooth completely satisfied (and maybe counting down the minutes until it’s time for another)! One of my favorite parts about these muffins is the fact that they are so easy to make! They don’t require a huge time commitment either. In fact, the total time, including preparation and baking, is no more than an hour! They are SUCH a great snack to whip up, even if you’re in a hurry! 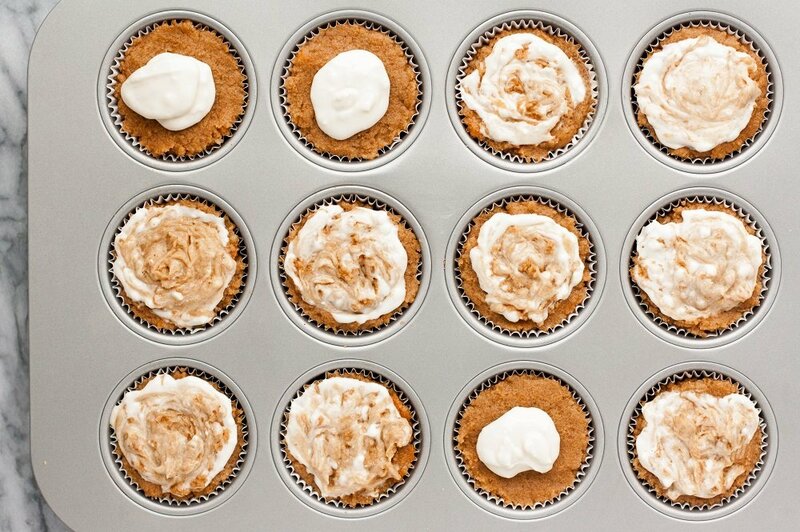 Made with ingredients including pumpkin, vanilla, coconut and monk fruit sweetener, these yummy pumpkin spice muffins with cream cheese frosting are the perfect sweet treat to add to your rotation! I absolutely love making them to have in the house, but they’re also great to make to take to fun fall events or football parties! I promise you, everyone will LOVE these. Did you know that pumpkin is a great low-calorie source of nutrients? In fact, 100g of it (that is a LOT of pumpkin) only contains 26 calories! Pumpkin is filled with tons of beneficial vitamins and nutrients, from antioxidants and fiber to Vitamins C and E. It’s also a fabulous source of potassium, copper, and calcium! Vitamin A is also a HUGE component of pumpkin. In fact, it is one of the most Vitamin A-rich vegetables out there, with 50g providing nearly 125% of the RDI. This means that in addition to being a tasty treat, pumpkin is also benefiting your eyesight and skin! What is my favorite part about pumpkin, though? The yummy, seasonal taste that it brings! There is something just so cozy about pumpkin foods and drinks! Made with no added sugar, these muffins are keto-compliant and the perfect treat to add to your day. They are made with Lakanto Monk Fruit Sweetener, my absolute favorite sugar substitute! The Lakanto sweetener is easily substituted for regular sugar and tastes exactly the same. The swap is so easy and beneficial! If you are looking to try monk fruit sweetener for the first time or if you just need to re-stock your pantry, you can use code “REALBALANCED” for 20% off your Lakanto Monk Fruit Sweetener orders! Looking for more keto pumpkin recipes? 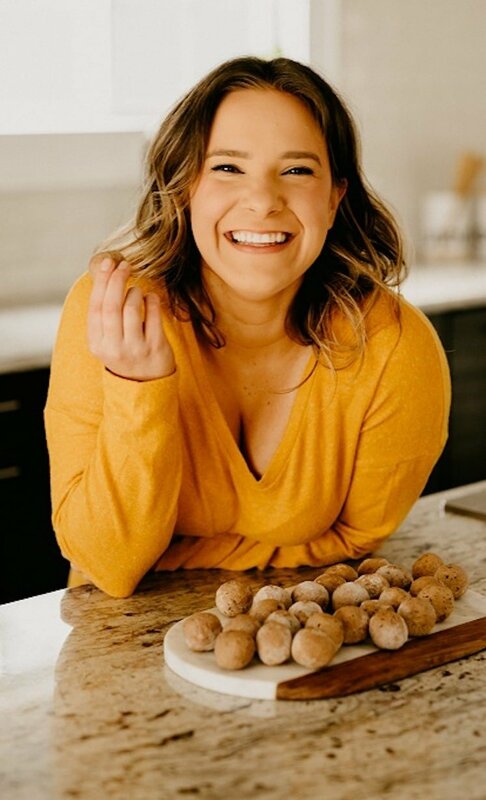 If you’re looking for more mouth watering keto pumpkin recipes from Real Balanced, try out these amazing Pumpkin Spice Fat Bombs! Perfect for the autumn season, these fat bombs incorporate key ingredients crucial to a keto diet. Try them out! 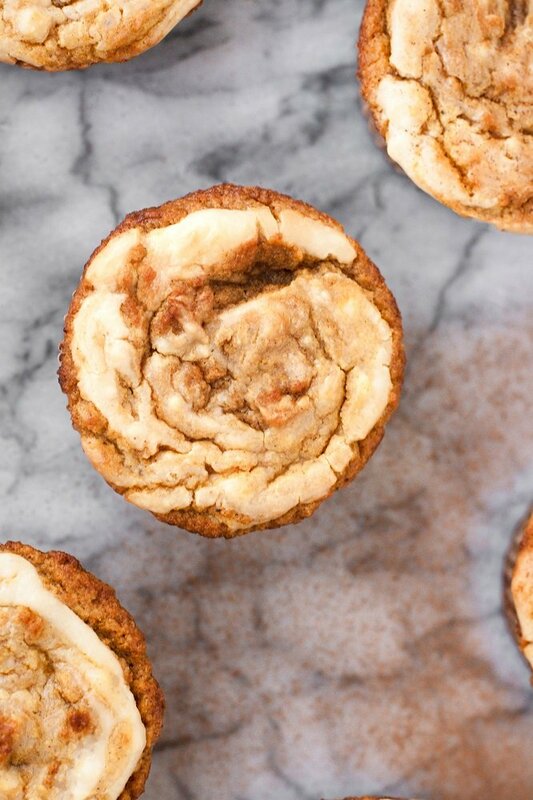 Making these Cream Cheese Swirl Pumpkin Muffins is SO easy! Preheat oven to 350 degrees and line muffin tin with muffin liners. Melt together butter and coconut oil. To a mixing bowl, add melted butter, melted coconut oil, eggs, egg white, pumpkin puree, monk fruit sweetener, vanilla extract, and pumpkin pie spice and mix together using an electric mixer. Add pumpkin puree, coconut flour, salt, baking soda, and cream of tartar and mix again with electric mixer. Spoon mixture into muffin liners. 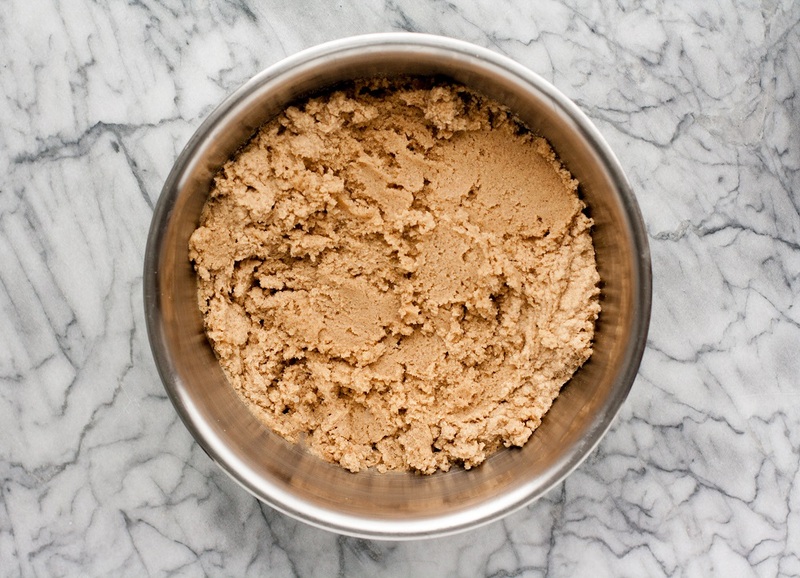 To a food processor, pulse 1 tbsp of monk fruit sweetener for filling until powdered. 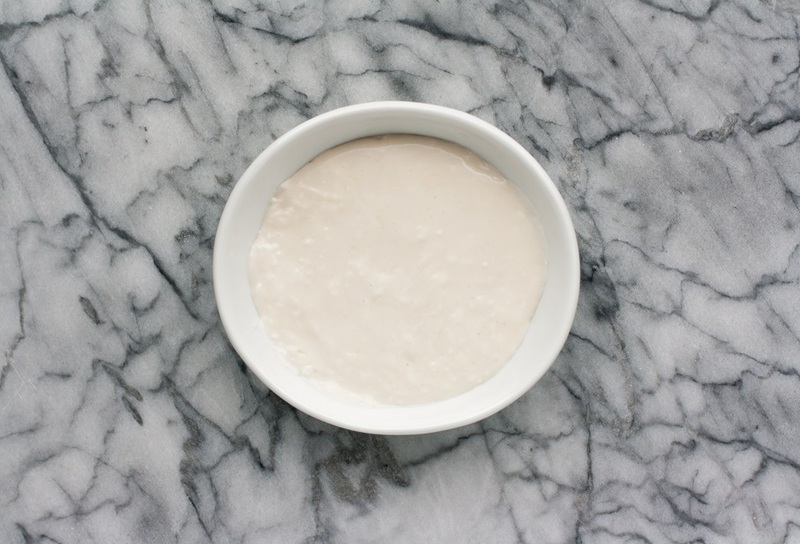 To a separate bowl, combine filling ingredients and mix with a spoon until well-combined. Spoon filling mixture into muffin liners atop pumpkin mixture. Using a toothpick, swirl filling into pumpkin mixture. Bake muffins until toothpick can be poked into center and come out cleanly, about 30-35 minutes. Serve warm and enjoy! These Cream Cheese Pumpkin Muffins are compliant with a bunch of diet types! These mouth watering muffins fit perfectly into so many types of diets! Low-Carb and Keto: One serving contains only 2.8 grams of net carbs! Nut-Free: These pumpkin muffins are nut-free and safe to consume for those with nut allergies or nut intolerances. Vegetarian: This is a vegetarian muffin recipe. 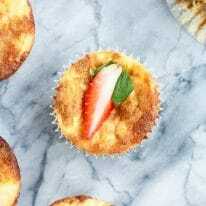 Refined-Sugar-Free: Instead of traditional sugar, these cream cheese muffins are made with golden monk fruit sweetener. A delicious and low carb recipe! These Cream Cheese Pumpkin Muffins are a great low carb treat. It is so easy to make room for these on a low-carb diet, as one serving contains only 2.8 grams of net carbs! These muffins are great for multiple kinds of diets, including low-carb, keto, and vegetarian. 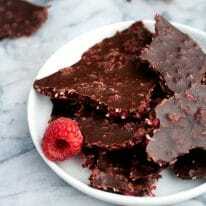 They are also nut-free and refined-sugar free! I absolutely LOVE these muffins, and I am confident that you will too. 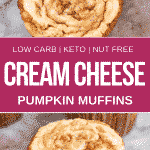 These keto cream cheese pumpkin muffins are the perfect fall recipe for anyone looking for ketogenic, low carb, sugar-free, nut free or vegetarian pumpkin recipes! Serve these keto cream cheese pumpkin muffins for breakfast, brunch or take them to your next fall party! 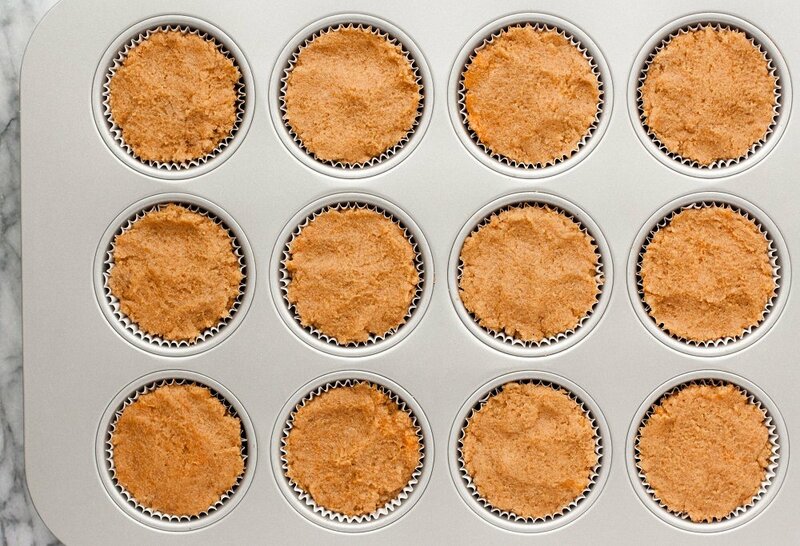 Preheat oven to 350 degrees and line muffin tin with muffin liners. Melt together butter and coconut oil. To a mixing bowl, add melted butter, melted coconut oil, eggs, egg white, pumpkin puree, monk fruit sweetener, vanilla extract, and pumpkin pie spice and mix together using an electric mixer. 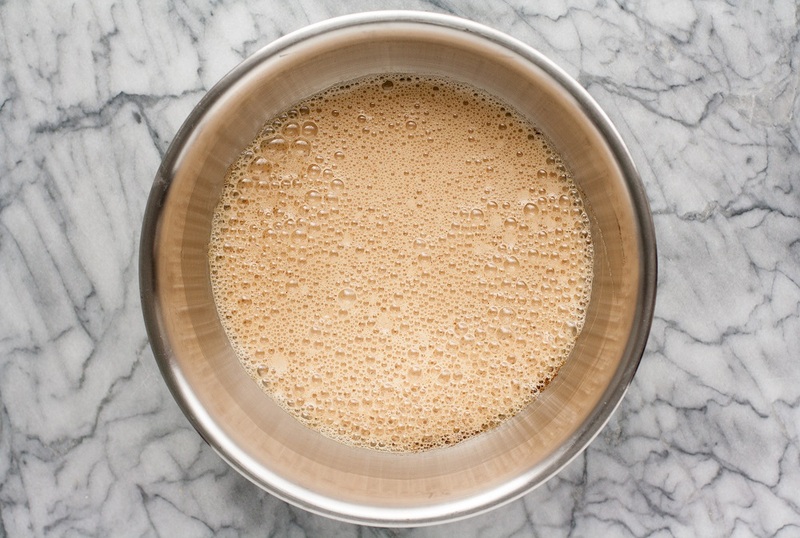 Add coconut flour, salt, baking soda, and cream of tartar and mix again with an electric mixer. Spoon mixture into muffin liners*. To a food processor, pulse 1 tbsp of monk fruit sweetener for filling until powdered. 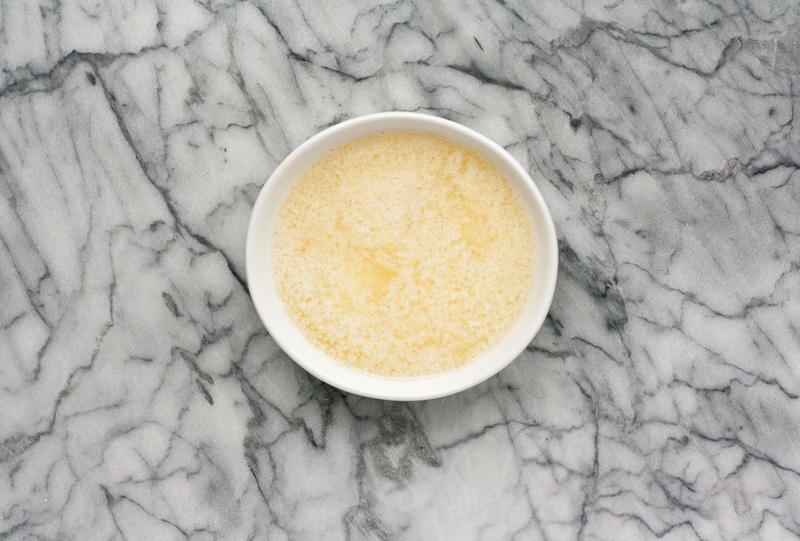 To a separate bowl, combine filling ingredients and mix with a spoon until well-combined. Spoon filling mixture into muffin liners atop pumpkin mixture**. Using a toothpick, swirl filling into pumpkin mixture. Bake muffins until the toothpick can be poked into the center and come out cleanly, about 30-35 minutes. Serve warm and enjoy! Do these freeze well? I am using pumpkin purée which I have previously frozen in 3 cup packages. Great question! I haven’t personally frozen and thawed these, but I’d venture to say that, as long as they are in airtight container, you could freeze and thaw them out. If you go this route, after thawing, I’d pop them back in the oven for a short time to crisp the muffins up a bit. These look so good! I was curious if I could substitute Kite Hill Almond Milk Cream Cheese for the dairy cream cheese? I am doing dairy-free Keto. Thank you! Would this be okay for a diabetic as well. I am not finding nutritional information. Hi, Amanda! The nutrition label is right below the recipe instructions, within the recipe card. For this recipe, 1 muffin contains 174 calories, 14.8g fat, 2.8g net carbs, 4.2g protein. 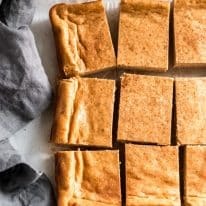 I have made many keto desserts and none were as good as this one. I highly recommend. Thanks!!! That is the best compliment, Dawn! Thank you!!! Is there a substitution for the Monk Fruit Sweetner? I cannot find it anywhere! Hi, Josh! You can order it from Lakanto’s website or I’ve also seen it available for purchase at specialty grocery stores. You can, however, substitute Swerve or Truvia here at a 1:1 ratio. These were soooo DELICIOUS!! I usually do not like baked goods with coconut flour because of the dry texture but these were not dry or chalky at all!! They were super moist and buttery. Perfect for fall! Thanks for the pumpkin fix. So glad you enjoyed, Brandi! 🙂 Thank you for your feedback!!! Pumpkin season is here. Pumpkin EVERYTHING! Pumpkin baked goods always get to me, though. They are so good and tasty. These muffins are part of that and they look SO good! Thanks, Ben!!! These are soooo yummy! These sound delicious, can I substitute swerve for the sweetener listed here? Hi, Stacy! Thank you! They are so delicious! You can definitely sub in Swerve for the monk fruit sweetener here. It would be a 1:1 replacement. Enjoy!